‘Content is King’, the phrase coined by Bill Gates over 20 years ago, way back in 1996, still continues to rule the marketing world. Creating content for marketing is the single most time-consuming responsibility for today’s marketers. 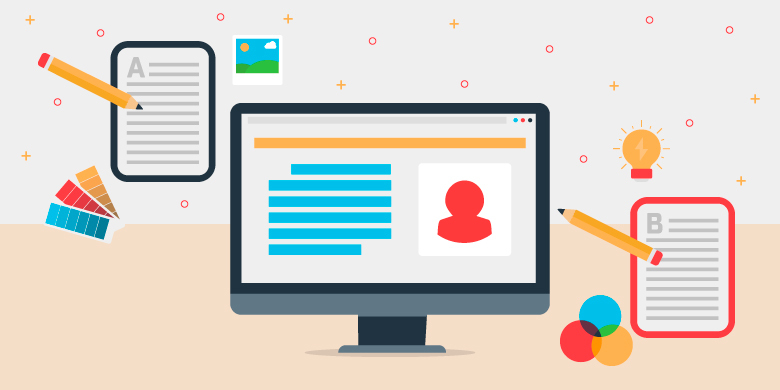 In this article, we will understand the similarities and differences between, content creation and content curation, and we will also learn when to create or when to curate content. Content Creation involves creating your own original content from scratch and marketing it to your target audience. 3) distributing it to your audience in various forms like blogs, eBooks, videos and infographics. Brands create original content to serve information to their target audience while they are seeking for it, instead of making them watch advertisements when they are not interested. Content curation refers to collecting and sharing valuable content, created by other brands and publications, to your target audience. Here brands gather existing information like blogs, eBooks, videos and infographics created by others, and share it with their subscribers and followers. It is not about sharing all kinds of informative content that you stumble upon. Instead, content marketers carefully handpick content around certain specific topics of interest that the brand wants to talk about. Both content creation and curation have the same purpose. Organizations want to drive mindshare among their target audience by serving meaningful and useful content with their followers and subscribers. Brands generally choose the topics of interest based on the content needs of their buyer personas. Hence, they focus on creating as well as curating content around the chosen list of topics. As Neil Patel states, 58% of marketers said ‘original written content’ is the most important type of content, outdoing visuals and videos. When you create content, you are introducing new knowledge to your target audience. Content that you create showcases the companies expertise. As a brand, you could create content tailored to support the products and solutions that you offer. When you create original high-quality unique content and share it on your website, it will generate a lot of interest among your target audience and this, in turn, will result in driving traffic to your website. When people like the content you create, they also tend to share it with their friends and peers. In fact, according to HubSpot, businesses that blog consistently receive 97% more inbound links than those who don’t. You can showcase the strengths of your brand and your employees by promoting your original content. Sharing authoritative content among your potential customers will establish your brand as a thought leader in your industry. This will motivate people to follow your brand. Moz’s White Board Friday is a very good example of how brands can use content creation to promote the brand and establish themselves as a thought leader in the industry. According to Marketing Profs, 45% of a brand's image can be attributed to what it says and how it says it. The content that you create originally will be reflective of your brand voice and brand image. Unique high-quality content will boost your brand image among your audience. Original content can prove to be a lead generation machine for your business if utilized well. Businesses that create blog posts get 67% more leads than those who don’t. When you are creating and sharing unique content like blog posts, eBooks, infographics you can add the appropriate call to action buttons so as to drive lead generation. We may want to share information about a wide range of topics with our brand personas. However, time factor could prove to be a limitation. Content curation gives you the ability to cover a broader set of topics without spending enormous time. When your business shares information created by industry influencers, you have an opportunity to strengthen the relationship with those influencers. Many times, the author may look at who has shared their post and may like your share or thank you for sharing their content. Creating original content can be a long and time-consuming process for not just the marketing team but also the in-house thought leaders. Curation saves this time and effort while allowing your brand to share relevant information with your potential consumers. It makes up for the lack of time and allows to share content consistently. Content curation allows brands to share information around a wide range of topics. Your customers may be seeking information around numerous topics to understand the products, services and the industry. Curating allows you to satisfy their thirst for knowledge. Businesses need to curate content from reputed sources like Forbes, Inc, and eMarketer to ensure sharing high-quality content. Curating content many times gets you shares on social media. When people share your post, your account handle and name would appear in the social media user’s posts. Sometimes the author of the posts that you share may be likely to look at your original content and share them if its unique. Original content drives traffic to your website, while curated content drives traffic to other websites and publications. Unlike the content you create, curated content doesn’t reflect your brand voice and brand image. Curated content cannot help in establishing thought leadership as content creation does. But instead, it helps in building relationships with industry influencers. Content creation requires careful planning, substantial time and resource dedication while curation is relatively easier and requires less time. Content curation drives a higher click rate for your posts when compared to content creation. However, the click to conversion rate is much higher for original content than curated content. Having understood the pros and cons of content creation and content curation, we will now discuss the various tools that can aid you in this process. Grammarly is a free tool that can help you identify and correct grammatical errors in your content. Copyscape is a plagiarism web checker. The tool is pretty cheap and affordable. Hubspot’s Blog Topic Generator helps you generate ideas to update your editorial calendar. Canva helps you to create fabulous visual content easily with its pre-designed templates. Atomic Reach is a Content Intelligence platform that pulls insights from your readers’ behaviour and makes recommendations to make your content more relevant to your target audience. Here is a list of more content creation tools that you could try for creating your brand’s marketing content. Feedly is one of the simplest content curation tools available. The tool helps you keep up with content from multiple sites or topics by simply adding it to your Feedly list. Scoop.it not only recommends articles to share based on the topics chosen but also suggests complementary topics that you can follow. Curata helps us discover content relevant to specific audience groups. It allows users to fine tune, customize and repurpose content across blog, social media, newsletters etc, from one central platform. Here are 9 Mind Blowing Content Curation Tools to Boost Your Traffic and Engagement. As a business, your content marketing strategy should focus on creating, curating and serving meaningful content to consumers who are in several stages of the buying journey. Your content should aim at moving them from one stage in the buying journey to the subsequent stage. Brands need to evaluate both content creation as well as content curation and then implement a suitable mix of the two in their content marketing strategy. A combination of content creation and content curation can enable brands to satisfy all the content needs of their potential consumers.